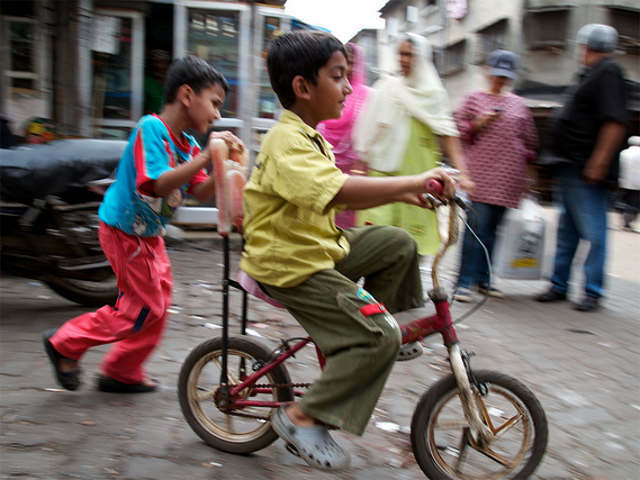 CONNECTKaro participants convened in Mumbai, India, to discuss ways in which sustainable transport and urban development can help build a brighter future for India’s cities. Photo by EMBARQ. The problem is that the country’s existing urban transport infrastructure is already over-capacity. This fact — coupled with the alarmingly high rate of traffic fatalities, increasing air pollution and greenhouse gas emissions, congestion, and urban sprawl — has created a sense of urgency to improve the quality of life in our cities now for the benefit of future generations. Against this backdrop, EMBARQ India, WRI’s Center for Sustainable Transport in India—in collaboration with the Brihanmumbai Electrical Supply and Transport Undertaking (BEST)—held its first annual CONNECTKaro conference last week. The theme was two-fold: first, to “CONNECT” sustainable urban transport to urban development, and second, “Karo,” a Hindi word meaning to “do it” — to make it happen. Scaling sustainable transport and integrating it with land-use development is essential so that Indian cities remain dynamic engines of economic growth, whilst providing a high quality of life for residents. The conference was a major success, attended by more than 220 people representing public transport authorities, government planning agencies, civil society organizations, private corporations, media, and academia. Additionally, more than 2,100 people watched the conference sessions via live webcast. This year is set to witness a significant expansion of bus rapid transit (BRT) systems in Indian cities. Janmarg in Ahmedabad, India’s first fully fledged BRT launched in 2009, will expand its network from 62 kilometers to 88 kilometers. New BRT systems are set to launch in Indore and Surat. In total, nearly 50 kilometers of additional BRT corridors will be operational in Indian cities by the end of 2013. Meanwhile, other cities — such as Hubli-Dharwad, Pimpri-Chinchwad, and Naya Raipur — are in advanced stages of BRT planning and construction. Mumbai and Bangalore are in the initial stages of planning their own BRT systems. Given these developments, the next few years are likely to be a “tipping point” for the expansion of BRT in Indian cities. With the right combination of political will, resource allocation, knowledge sharing, and technical expertise, India could witness a true scaling of these advanced bus systems across its cities. Key to realizing this success, as Abhijit Lokre from CEPT University pointed out, will be building BRT systems based on the idea of “local innovations for local conditions.” Given the diverse conditions in Indian cities, it would be counterproductive to insist on a rigid blueprint for BRT. Instead, flexibility in implementation would allow each city to develop a system to match its own unique needs and constraints. Moreover, the experiences of Ahmedabad, Delhi, and Pune have shown that successful BRT systems in India are those that are treated as programs, not projects. We must move beyond the tendency to treat BRT systems as mere construction projects and commit to regarding them as systems that require continual resource investment, performance monitoring, and quality improvement. Finally, treating public consultation and outreach as a core activity rather than an afterthought would result in increased buy-in and support from local communities. While the scaling-up of BRT systems is an encouraging development, merely increasing the supply of mass transport will not be enough. The integration of land use and transportation is also essential. Transit-Oriented-Development (TOD) is increasingly viewed as the next big solution that will connect sustainable transport to sustainable urban development in India. Given that the spatial expansion of Indian cities is inevitable, mainstreaming concepts like TOD will be vital for ensuring this growth happens in a compact and sustainable manner, minimizing negative externalities like sprawl, increased air pollution, and increased infrastructure cost. However, a lack of clarity remains on what, exactly, TOD entails and what good TOD looks like. In Indian cities, TOD has been largely used to mean transit-adjacent development, with the discussion revolving largely around increasing the intensity of real estate development near transit stations. There has been little regard for other elements of the urban fabric. Instead, we need to focus more on “multi-modal transport integration, urban design, and enhanced priority for pedestrians and cyclists”, said Manjula Vinjamuri, Commissioner, Directorate of Urban Land Transport, Government of Karnataka This would ensure the creation of truly walkable and attractive neighborhoods. There are lessons to be learnt here from India’s BRT experience. The scaling of BRT resulted largely from the existence of a high-quality Indian example, like Janmarg, to build support for the concept. This proof-of-concept was followed by significant technical and financial support from the central government through the Jawaharlal Nehru National Urban Renewal Mission (JNNURM). Similarly, developing good demonstration projects (promising pilots are underway in Delhi and Hubli-Dharwad) and ensuring that these concepts are integrated into city master plans and funding allocations for urban renewal (the second round of JNNURM, for example), would go a long way toward mainstreaming TOD. City bus services are and will continue to be the primary mode of public transport for the majority of India’s urban citizens. In major metropolises like Delhi and Bangalore, buses account for more than 40 percent of all motorized trips. For medium and smaller-sized cities, buses are and will remain the only cost-effective mode of public transport. Improving the scale and quality of city buses, then, should be central to any city’s strategy to promote public transport over private vehicle use. Significant efforts have been made toward this goal. In 2009, the Government of India, through the JNNURM, funded the procurement of 15,625 buses for 61 cities across India. At CONNECTKaro 2013, Dr. Sudhir Krishna, Secretary of the Indian Ministry of Urban Development (MoUD), reiterated the Indian Finance Minister’s commitment to fund the procurement of an additional 10,000 buses for public transport in Indian cities. But much remains to be done. Buses “are still seen as a downmarket mode of transport,” said SK Lohia, Joint Secretary of Urban Transport at the Ministry of Urban Development, Modernizing city bus services will be crucial to changing this mindset. Redesigning bus networks and routes to make services more efficient and user-friendly, as well as using technology to improve passenger information systems will be essential. While there are encouraging modernization efforts already underway in cities like Bangalore and Mysore, efforts must be made to share their results to facilitate the scaling-up of such initiatives to bus-based public transport networks across India. “Improving the quality of buses to make them more attractive and comfortable for users will also be required”, said Jamshyd Godrej, WRI India Chaiman, a goal that necessitates greater engagement with manufacturers. Every year, more than 130,000 people in India die as a result of traffic accidents — one-tenth of the global total. If current trends continue, traffic crashes will become the fifth-leading cause of death among all age groups by 2030, surpassing major diseases such as tuberculosis and AIDS. The most vulnerable road users are pedestrians and cyclists. One of the reasons for this danger is the disproportionate allocation of road space. Mriganka Saxena from the Delhi Development Authority made the point that although Indian cities have a high share of walking and bicycle use, 80 percent of road space is allocated for only 15 percent of users (those driving private vehicles). Leveraging the large investments in mass transit systems to improve pedestrian environments around transit stations. For example, areas around the Mumbai Metro and Monorail line stations are being designed to increase pedestrian access and safety. Scaling up this work to the mass transit systems currently under construction in many Indian cities will go a long way toward ensuring safe access to these transport networks. Industrial associations and business districts can take the lead in improving pedestrian environments, without waiting for larger, city-wide initiatives. For example, businesses can create green spaces or pedestrian-friendly environments. One such project is the Maharashtra Industrial Development Corporation’s (MIDC) initiative in Mumbai. Civil society can take the lead in bridging the design capacity gaps that public agencies sometimes face. For example, the TenderSURE project in Bangalore sourced U.S. $160,000 through civil society groups for the development of road design templates. The project then leveraged this funding into a U.S. $56 million commitment by the Karnataka State Government to provide adequate space and safety features for pedestrians while constructing 30 km of major roads in the city. Ultimately, central and state governments will need to rethink their priorities while designing roads, placing pedestrians’ and cyclists’ safety and comfort at the core of their road development process. A final key message from the conference focused on the tremendous opportunity to shift private sector investments toward sustainable outcomes. A recent study indicated that Indian cities will need almost U.S. $871 billion in infrastructure investments over the next 20 years. Of this amount, nearly U.S. $500 billion is needed for transport infrastructure alone. Given fiscal constraints in the public sector, a majority of this money is expected to originate from private investors. In addition, real estate development will continue to be one of the largest sectors in urban investment. The manner in which such private developers plan their projects — building them around cars or building them to be supportive of non-motorized travel and public transport — will have significant impact on the future sustainability of Indian cities. Businesses will also increasingly invest in providing goods and services for urban consumers, some of which will focus on transportation. Therefore, there is a significant opportunity to channel the actions of private sector players into sustainable transport and urban development initiatives— whether through real estate developers embracing sustainable transport principles in their projects; entrepreneurs creating companies that deliver sustainable transport services; or financiers providing the capital that allows these outcomes to materialize. Private sector investors are also “increasingly keen to invest in the transportation infrastructure space”, said Dr. Armin Bruck, CEO of Siemens India. However, such investments have historically been dominated by the state, and therefore significant knowledge gaps in terms of opportunities, viable business models, and regulatory requirements exist. National and central government policies that support the development of sustainable transport solutions could help increase private sector investments. Madhav Pai, director of EMBARQ India, proposed developing a Sustainable Transport Market Development Alliance between private companies, government regulators, and civil society groups, which received broad support from participants. Such initiatives will create an ecosystem that channels private sector investments toward sustainable transport and urban development outcomes. CONNECTKaro outlined a plan to help ensure that India grows sustainably. Encouragingly, we came away with the feeling that there is now a sense of urgency to act—to get to the “karo” and put these ideas into action. Pursuing sustainable transport solutions now can create a sustainable future for Indian cities.